Ships free! 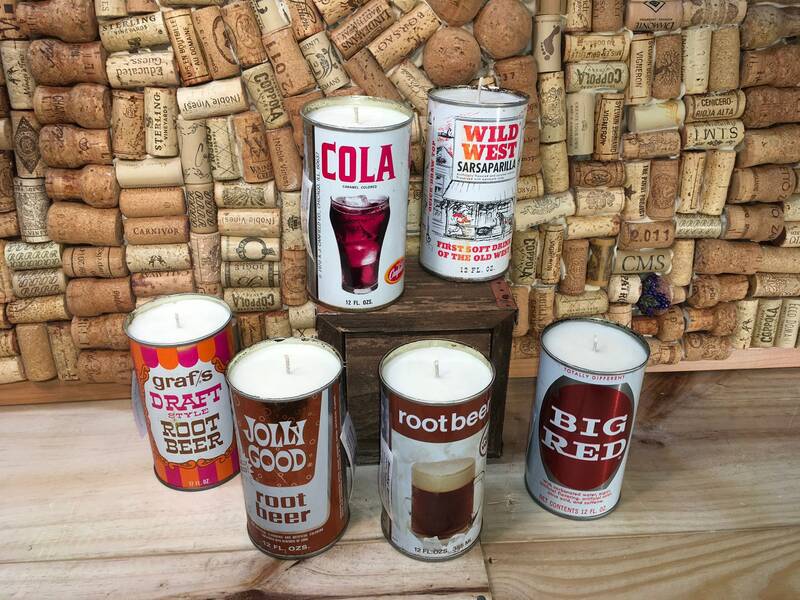 The soda pop cans in the 70's were made of steel, so they don't get too hot when you burn the candle. Choose which can you prefer in the drop down menu. There are six available at this time. 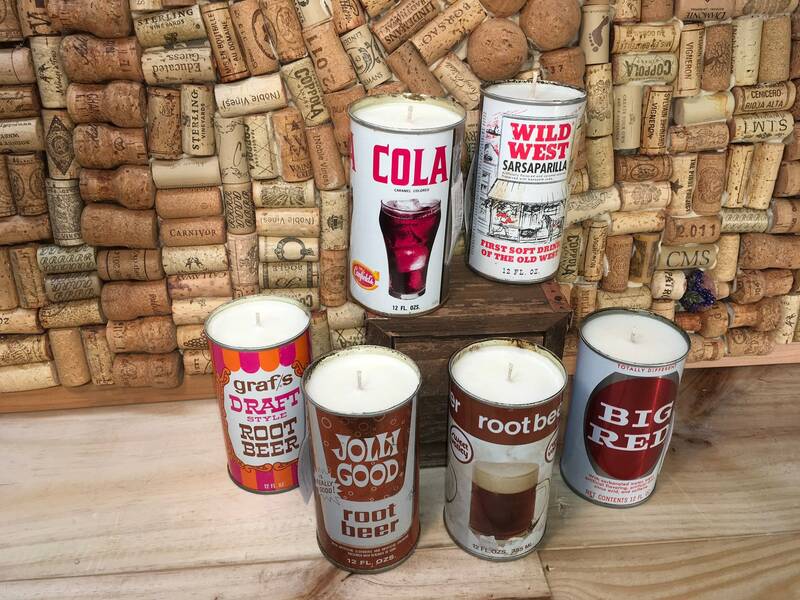 These all feature our Smoky Embers scent. Our Smoky Embers fragrance has top notes of Pine and Balsam, Middle notes of Sandalwood and Bottom notes of Patchouli and Violet. It’s smells like a really fragrant camp fire!